When we set off on our cruising voyage, one of the primary goals was to evaluate places to live on the coasts. Our major criteria were: 1) A short drive to the beach, but not necessarily on the beach; 2) Within walking distance to bars and restaurants; 3) Within walking distance to our boat, if not behind our house; 4) Not necessarily in a large city, but close to big city amenities. We weren’t really ready to buy a house again, but we found that Southport continues to feel like home to us. We have been looking at real estate for the last couple of years, and almost 10 years ago when we first came here. One thing we have realized….the market is crazy here. The prices are lower than any other coastal sea port towns on the east coast, but in the last 4 years, the market has been catching up very fast. There is a part of Southport that is considered “old town”, especially the first 100 lots in the original town called Smithville. The old town lots are all taken, and when they come up for sale, they sell within a day. We quickly realized that to meet our criteria, we needed to move NOW, quickly, as soon as opportunity presented itself. We also ultimately wanted something that had a small yard, and somewhere that we could build a new house. In the last couple of years we have missed out on several opportunities where we were outbid, as we had a hard time wrapping our heads around the prices that things were selling for, but we grew to understand that this is an east coast, waterfront seaport, that demands a different price than we were used to. We finally found something that pretty much satisfied all of our criteria, and at a decent price for the current market. The house needs to be torn down as it is a disaster…but the location and lot are perfect. 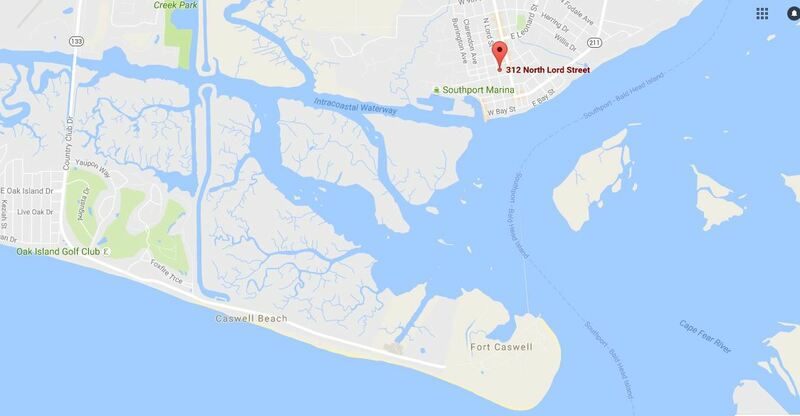 It is 3 blocks from the Southport waterfront, 4 blocks to the marina, and 2 blocks to downtown Southport, and on one of the 100 original lots. 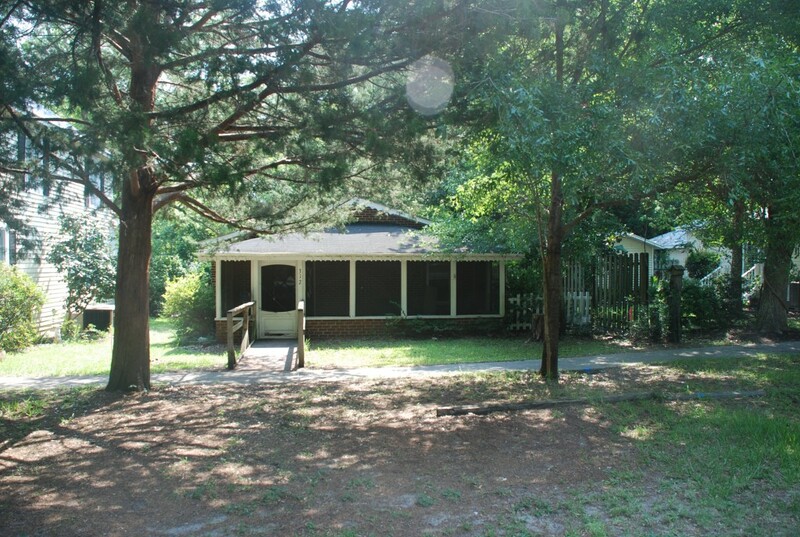 Our good friends Matt and Shirley can build us a small Low Country style home that will look like it has been an original historic Southport home, and we will stand a good chance of making a decent profit when we sell it. It is very close to the Carolina beaches, so hopefully we can provide a stopping place for friends and family when they vacation to their favorite vacation spots. The current plan is to tear the existing house down this summer, and build something new next summer after we return from the Bahamas. We closed on Friday, and today we had someone come and take the appliances out. Next, Matt will have someone give us a quote on demolishing the house and hauling it off. Searching and buying this place has consumed quite a bit of our time since we got back in town. Hopefully we can get busy on some boat work in the next few months! Stay tuned. This entry was posted in Lord St on July 30, 2016 by bwehmer. Thanks Cindi. Hope to see you on our next trip north! Sounds like a super plan. We love that area also. Thanks Don! Hope you are getting in a lot of fishing!! Fantastic move, congrats. I agree, Southport is very cool, it’s a great seaport town. Fantastic location with walking to the marina and town. Love it. Thanks you two! Hope to see you when you pass through going north and south, and in the Bahamas of course!! Congratulations Bill and Trisha, Are you becoming land lovers again, or maybe the best of both worlds! Thanks Viviyan! In general we will keep cruising south for the winters and make this a home base for summer, with the possibility of taking a winter off or traveling north for a summer. Hope all is well. Say hi to Joe. Bill and Tricia, Wow that’s just awesome news! So pleased and happy for both of you! Coming back to civilization again??? Thought you guys would be floating around for the rest of your lives! Congratulations on getting “grounded: again! Thanks. For the record, we are not done floating around. Just taking advantage in this crazy real estate market and establishing a home base. I hope all is well!